Surrender at 20: Kindred, the Eternal Hunters, now available! 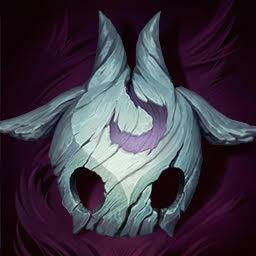 Kindred, the Eternal Hunters, now available! "Tomorrow is a hope, never a promise." - Kindred, The Eternal Hunters, are now available for purchase! 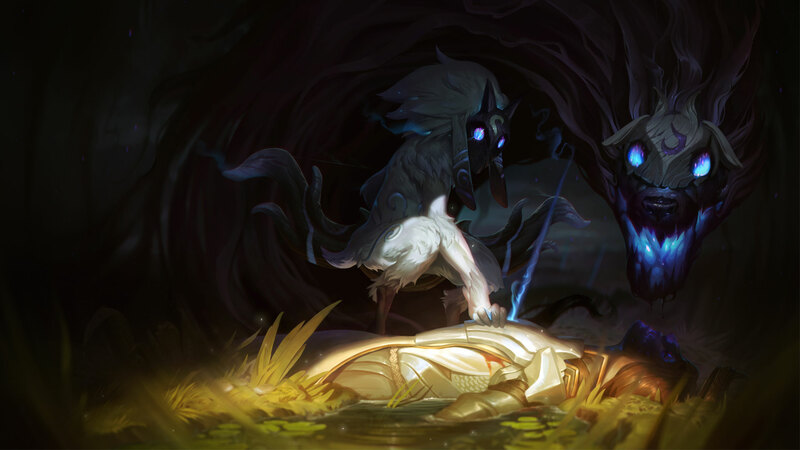 During their first week of availability, Kindred will be priced at 975 RP / 7800 IP, after which they will drop to the standard 6300 IP price point. 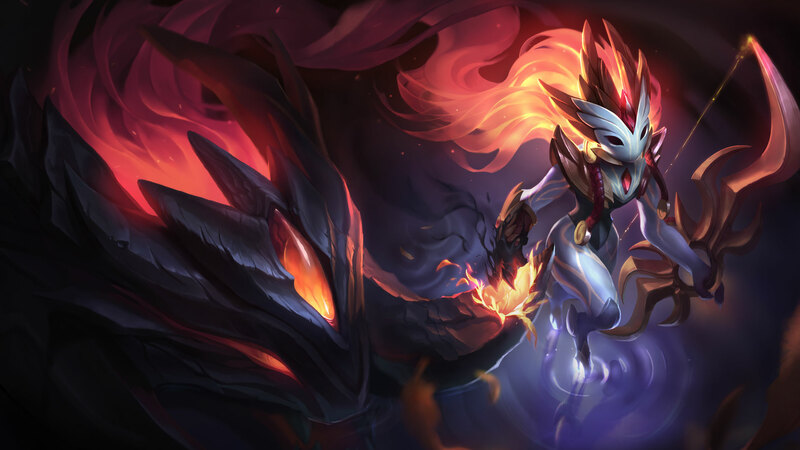 Alternatively, you can pick up Kindred and Shadowfire Kindred in their limited time release bundle for 1462 RP through October 18th. Drift gently into oblivion and continue reading for more on our newest duo, including a rundown of their abilities, a preview of the Shadowfire Kindred skin, and more! Emerge from the twilight with Shadowfire Kindred for 975 RP (normally 1350 RP), or bring death with the champ launch bundle for 1462 RP (normally 1950 RP). The Shadowfire Kindred discount and bundle will last until 23:59 on October 18th. When the time comes, will you accept your end, or flee from it? Choose your fate by picking up the Lamb and Wolf icons, available for 250 RP each." Lamb can choose a champion to hunt by clicking the champion potraits above the inventory. 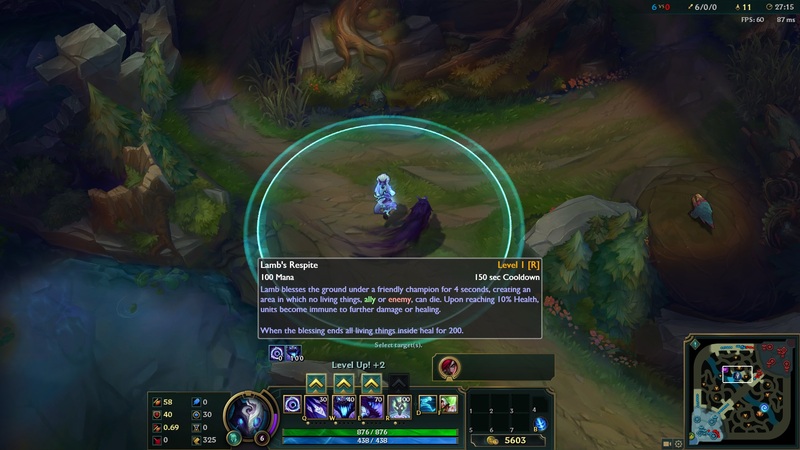 Wolf will no longer mark jungle monsters after you reach 6 stacks. Lamb vaults, firing up to 3 arrows at nearby enemies, dealing 60/90/120/150/180 (+.2 total AD) physical damage. 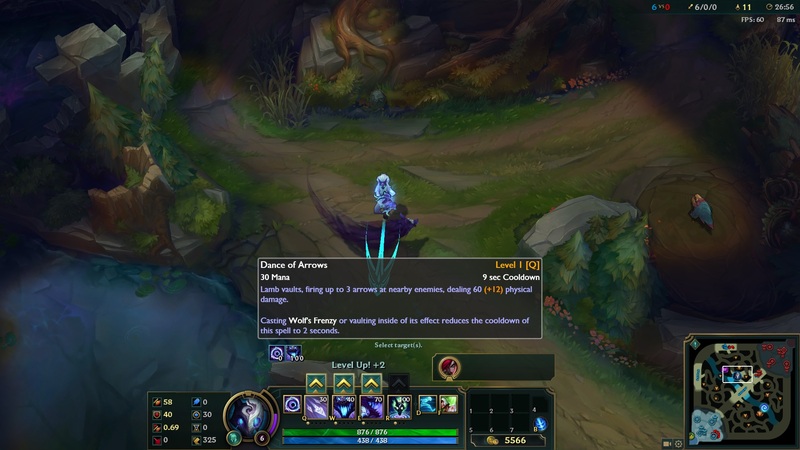 Casting Wolf's Frenzy or vaulting inside of its effect reduces the cooldown of this spell to 2 seconds. 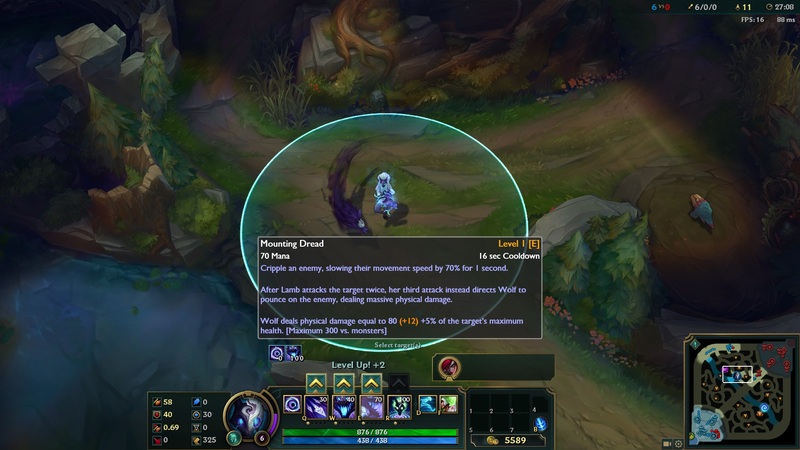 Passive: As Kindred move they build stacks of Hunter's Vigor, up to a maximum of 100. At full stacks Lamb's next basic attack drains X [60+ 3 per level] health from the target. Active: Wolf claims a territory, attacking nearby enemies inside it for 8 seconds. Lamb can direct him to targets by attacking them. If Lamb leaves Wolf's territory he will cease attacking and join her. 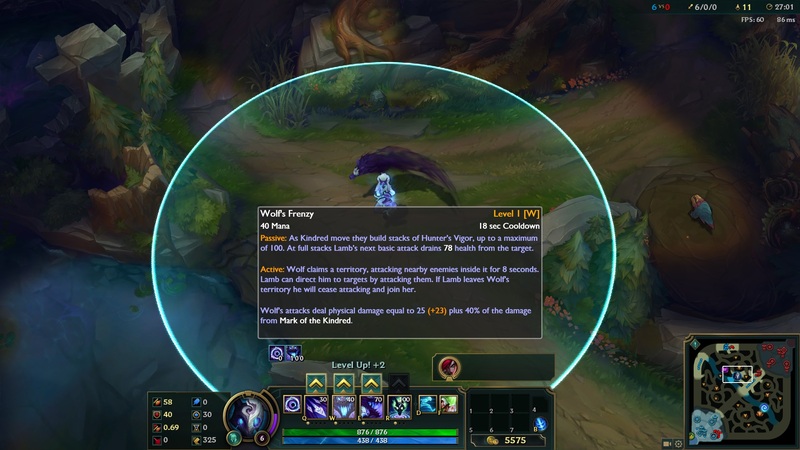 Wolf's attacks deal physical damage equal to 25/30/35/40/45(+.4 total AD) including 40% of the damage from Mark of the Kindred. Cripple an enemy, slowing their movement speed by 70% for 1 seconds. Lamb blesses the ground under a friendly champion for 4 seconds, creating an area in which no living things, ally or enemy, can die. Upon reaching 10% Health, units become immune to further damage or healing. When the blessing ends all living things inside heal for 200/250/300. 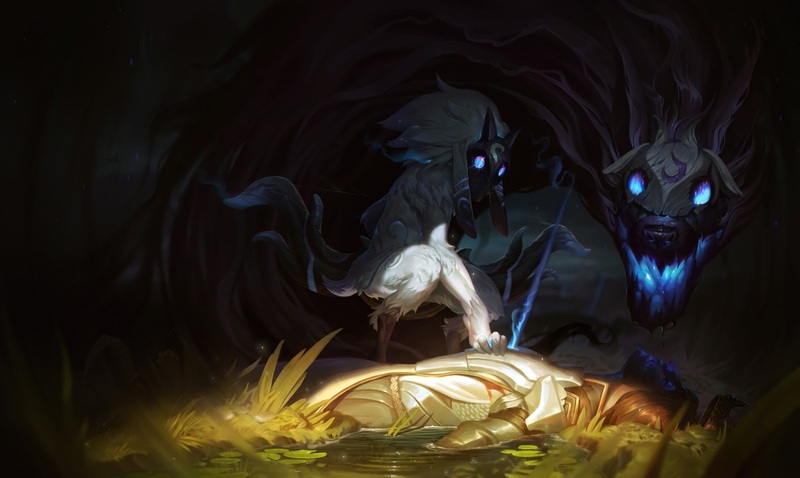 Kindred's VO features the two entities - Lamb and Wolf - chatting it up to over 17 minutes of dialogue, including all sorts of unique taunts, lines when purchasing items, and more! 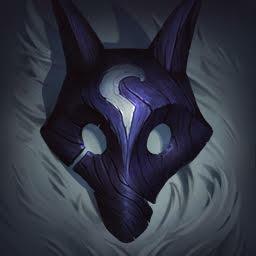 A list of Kindred's special interactions can be found on their LoL Wiki page, including unique taunts for Amumu, Bard, Ekko, Karthus, Maokai, Rengar, Sion, Warwick, tons of items, and more! In addition, Kindred is also listed as friends with themselves and rivals with Hecarim, Mordekaiser, Yorick, Thresh, and Karthus. 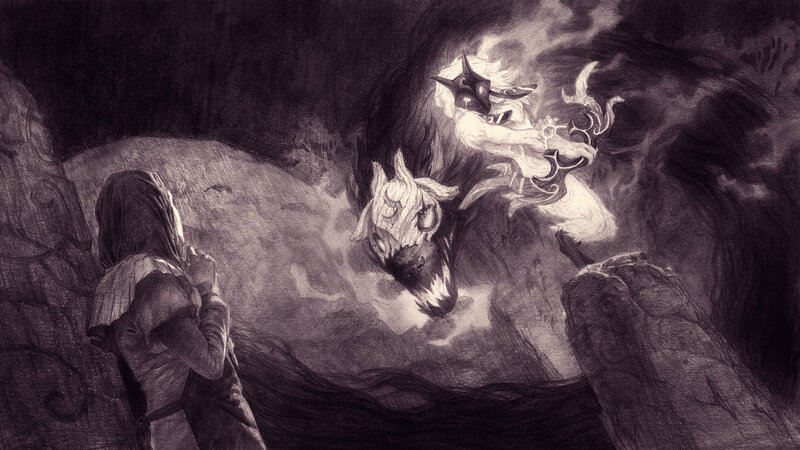 For more on Kindred, you'll also want to check out the Kindred short story "A Good Death"! . 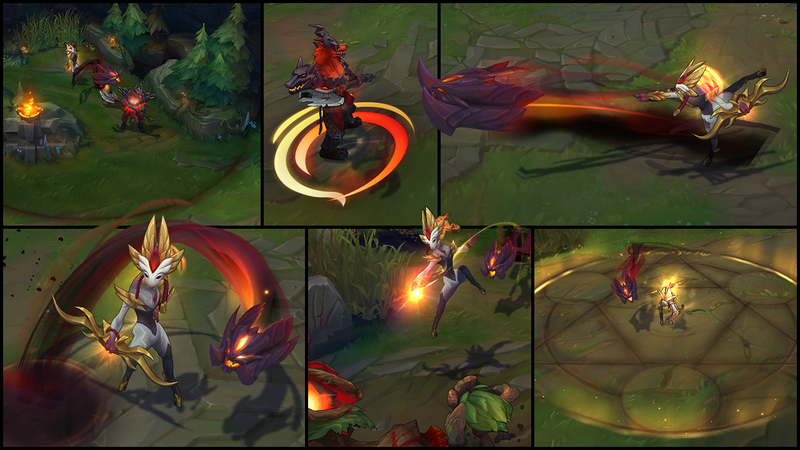 Along with Kindred's release, we also have the Shadowfire Kindred skin! 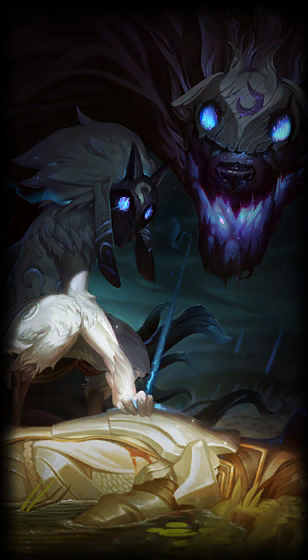 We also have the Kindred login theme! Sheet music for this track can be found here.